Morttagua is considered one of the most important DJs and music producers hailing from Brazil to the world. 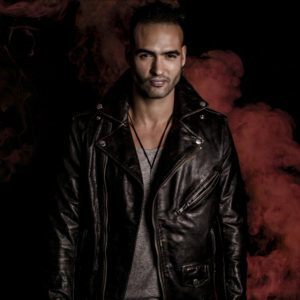 His tracks with deep, dark & melodic characteristics that transition in the realms of Deep House, Techno and Progressive House have gathered attention from important DJs in different spectrums of electronic music, gaining support from underground legends such as Sasha, Dubfire, Nick Warren, Pete Tong on BBC Radio 1, Hernan Cattaneo and Laurent Garnier to superstar djs such as Above & Beyond, Armin Van Buuren, Paul Oakenfold, Sander Kleinenberg, Paul Van Dyk, Markus Schulz and many other greats. In 2013 Morttagua was able to rise to the TOP 1of the Beatport Progressive House chart with an underground EP entitled “SITH PLANETS”, making a huge starting statement on the scene. From 2014 through 2017 Morttagua was able to place many EPs, singles and remixes in Beatport TOP 100 charts in Deep House , Techno, Tech House & Progressive House on labels such as Armada Music, Black Hole, Electronic Elements, Bonzai, Particles, Bunny Tiger Dubs, PACHA Recordings, Iboga Records, Dear Deer, Outta Limits, Baroque, Silk, just citing a few. In the end of 2016 Morttagua opened his record label Timeless Moment, rapidly becoming one of the major underground imprints in Brazil while gaining strong worldwide recognition. Timeless Moment music stormed through Beatport charts while gathering strong support from icons such as Solomun, Dubfire, Maceo Plex, Guy Mantzur, Guy J, Hernan Cattaneo, Pete Tong, Undercatt, Sebastien Leger, Jonas Rathsman and Eelke Kleijn. Morttagua also has had great success collaborating in official remixes and original tracks with highly regarded artists such as Robert Babicz, Betoko, Martin Roth, Glenn Morrison, Federico Scavo, Moonbeam, Danito & Athina , Ticon, Kyau & Albert, Dinka, Matan Caspi, Vanilla Ace, Kastis Torrau, Andre Sobota, Gai Barone, Danny Oliveira aka DNYO and Michael-A, just naming a few. With a solo dj/production career starting in 2012, Morttagua is having a fast rise to the top in the Brazilian electronic scene, having had appearances in important clubs and festivals such as Green Valley (SC – Dj Mag #1 Club), Anzu Club (SP), Clash Club (SP), P12 (Jurerê Internacional –SC), PACHA Floripa (SC) , Winter Music Festival (SC), Magic Island (SC), Rio E-Music Festival (RJ), and many other amazing venues. Morttagua has been awarded for 2 years in a row in the most important Dj Awards ceremony in Brazil, the DJ SOUND AWARDS as “Best Progressive House producer”, and has been featured multiple times in DJ Mag, Mixmag, Progressive Astronaut, Change Underground, When We Dip, Sweet Musique, Electronic Groove, Ministry of Sound, House Mag, Alataj, Phouse, Rio Music Conference annual, and many other renowned electronic music printed publications and websites. Morttagua is an official ambassador for BURN Energy Drink, representing Brazil in the internationally acclaimed BURN Residency program.